It’s easy to think of a roof as just an umbrella to your home. Which it is. But what it takes to protect your home from the weather above, is more than just what you can see. In today’s article, we take a look at roofing as a system, instead of well – just a roof. Your roof is meant to prevent rain, snow, hail or anything falling from above, from getting inside. 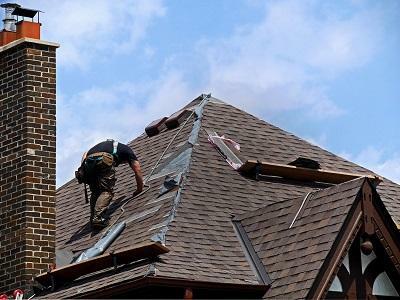 To keep up with such a task on a day-to-day basis, your roof is a layer cake with each layer playing a role in keeping your home safe from the sky. From the outside in, here are the top two components of your home’s roof. 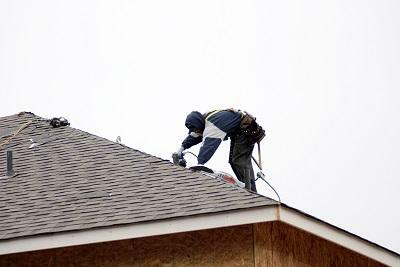 As the outermost layer to the roofing system, your shingles take the brunt of the force and are undoubtedly the most important part. Arranged like the scales of a reptile, your roof’s shingles are built to predictably channel water off the roof, with each row of singles overlapping the one beneath it. While there are other options, the shingles we use are typically made of a combination of asphalt, fiberglass, and an adhesive. Quality shingles will even hold up against fire. Where high-end shingles will resist combustion for as long as possible, lesser shingles may actually serve as fuel to the fire. As you can see, the quality of your shingles is king when it comes to the overall quality of your roof. But they don’t do the entire job by themselves. Behind every good arrangement of shingles, is a layer of weatherproof underlayment backing it up. While there are concerns beyond moisture, water tends to be what causes the most damage on average. Mold, dry rot, structural disintegration are all things that can severely affect your home, and can easily be kicked off by a simple roof leak. Which means without a barrier against water vapor, your shingles are driving without insurance. Your weather barrier is the secondary line of defense against weather entering your home. Like your shingles, installation is key to making sure your weather barrier can do its job for the long haul.